April 1, 2019 – LA Kelley Communications, Inc. If you ask what the greatest complication of hemophilia is in the US now, many will say insurance. It was Dave who first sounded the alarm in 2003 that insurance was undergoing massive changes that would eventually impact hemophilia care. Each quarter, Dave would invite a select group of people to his headquarters in Boca, to share and brainstorm about what we called “The Coming Storm.” Included in this group was Dana Kuhn, founder and president of PSI, very knowledgeable about insurance issues. And Ed Burke, who worked for Dave. Dave was founder and president of Factor Foundation of America, a specialty pharmacy that gave away profits back into the community. Dave’s dream was to become the number one specialty pharmacy serving the bleeding disorders community, where 70% of profits would be channeled back into the community. Dave predicted the coming changes in insurance amazingly well. He told us as early as 2003 that insurers would: start restricting access to certain therapies; would challenge whether patients needed so much factor; would start step therapy; would focus on the bottom line more than on patient needs; that PBMs would become megaplayers in the industry. I feel we as a community owe a lot to Dave. Myriad presentations, meetings, marches, and more are all due to his early efforts to be like Paul Revere, and warn us that the “Payers are coming!” He had insight and shared it; he changed the way we thought about our community, roused us from complacency, and put us on the right path to protect our needs and interest. We lost a great man when he passed away February 29, 2004. He left behind a wonderful wife, Kim, who you might meet these days at a hemophilia meeting. 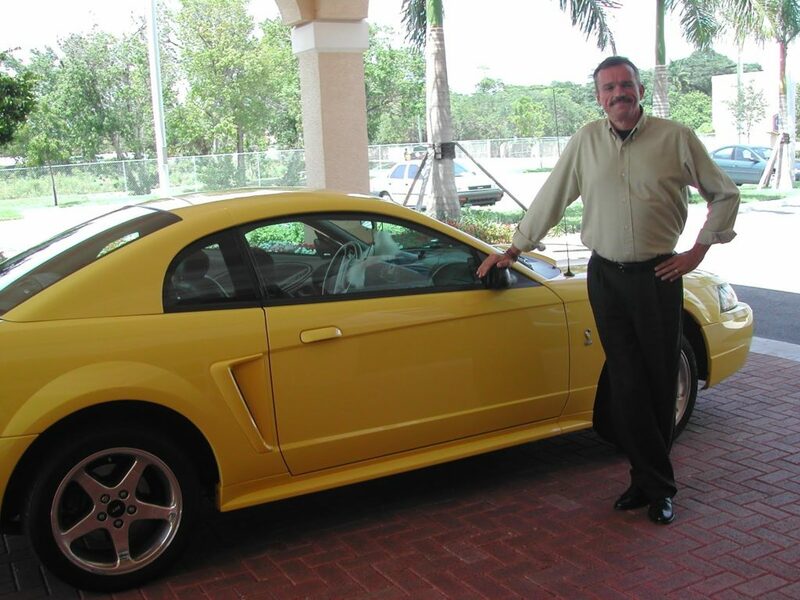 He left behind his prized car, a Mustang Shelby. But mostly he left behind an incredible legacy. Let’s remember him and honor him for eternally helping our community, as a visionary leader.